The LRNA, in accordance with its Mission, has worked hard over the years on behalf of its members to enhance enjoyment of life in the area. On an on-going basis, the LRNA contributes to local organizations and initiatives including Rosseau Active Women, Pumpkinfest, Rosseau Fall Fair, Rosseau Movie Night, Bridge Night and the annual Rosseau Regatta. The LRNA also sponsors and organizes fundraising galas and annual social functions. The LRNA encourages discussion around issues that affect current members and residents and is always open to ideas to better conditions in our community. The LRNA serves as a conduit between Local District and Township politicians and members. In 2012, members of the LRNA voiced concern about the deterioration of the Rosseau Shoal Lighthouse. 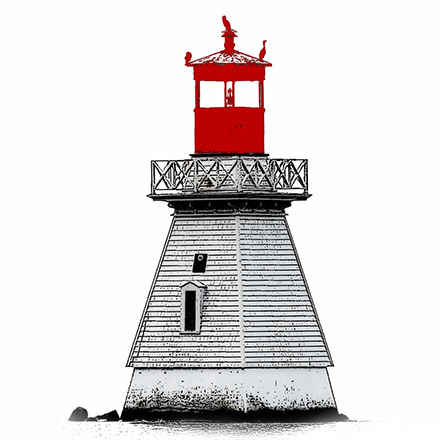 The LRNA contacted the Canadian Coast Guard and learned that the lighthouse had been declared surplus by the Federal Government and would no longer be maintained. We also learned that if the lighthouse was designated historical, the local municipality could apply to assume ownership of the lighthouse including responsibility for its restoration and ongoing maintenance. To support this initiative the Township of Seguin required a commitment of $20,000. The LRNA generously welcomed the challenge and began its successful fund-raising campaign. By 2014, the Township had succeeded in assuming ownership and restoration work was completed. 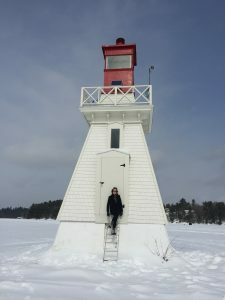 This iconic, historical lighthouse, first constructed in 1890, has now been fully restored for the continuing enjoyment by residents and visitors to North Lake Rosseau. A plaque commemorating the history of the Rosseau Shoal Lighthouse is located in the Rosseau waterfront park. Nurse Practitioner Led Clinic – Rosseau Site EH! In 2012 the LRNA Board of Directors, under the leadership of Chair Anita Wood, felt that its members and others in the local area would benefit immensely if the Nurse Practitioner Led Clinic – Rosseau Site could be open to provide emergency care on weekends in July and August when the population in the Rosseau area swells. The slogan Rosseau EH! (referring to Extended Hours) was coined and became the catchword for a major fundraising initiative that started in 2012 and is still continuing. Funding for Monday through Friday operations at the Nursing Station, which runs under the auspices of the West Parry Sound Health Centre, is provided by the Ontario government. However, weekend coverage is beyond the normal mandate the Ministry of Health has established for nursing stations. This summer marks the seventh consecutive year that local citizens have been able to access emergency care on summer weekends. Initially, all funding for the extended hours was provided by the LRNA. Our members responded generously to requests for donations and annual fundraising galas were very successful. For the past two years, the LRNA has received welcome financial assistance from the Lake Joseph North Association, the Rosseau Classic Car Show, Little Lake Joseph Association and several significant private donors. Although the Community Advisory Committee (CAC) of the Nurse Practitioner Led Clinic – Rosseau Site has now assumed responsibility for fundraising, the LRNA continues to be very committed to and involved in fundraising to ensure this valuable community resource continues to be available each summer. Many LRNA members and local residents have homes or cottages in areas where emergency fire/rescue response is made difficult by the terrain and location. Access via the lake can be much quicker in those instances. In 2015/16, the LRNA worked with Township officials, including the Fire Chief, to formalize a plan to secure and refurbish a fireboat. 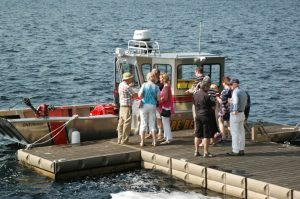 Through effective partnership and a successful fund-raising campaign the LRNA was able to raise enough funds to make the fireboat plan become a reality. 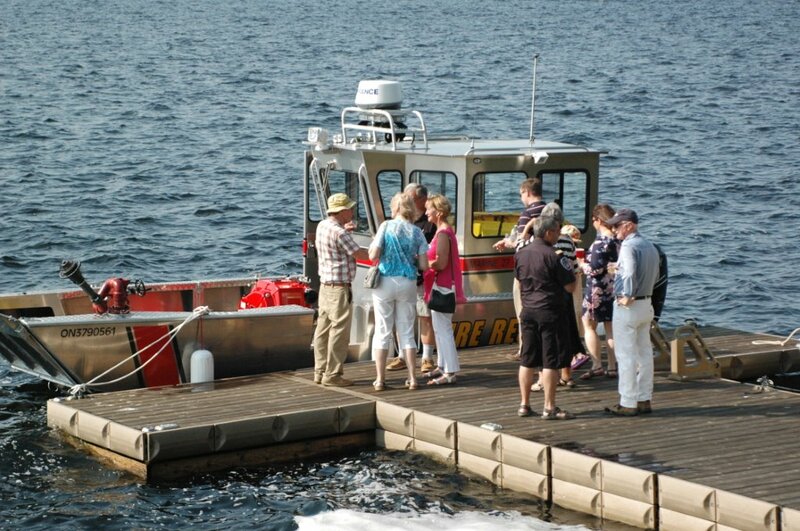 The fireboat is now kept at the Rosseau Waterfront during navigable months ready to provide improved safety and security for all North Rosseau lakefront residents.